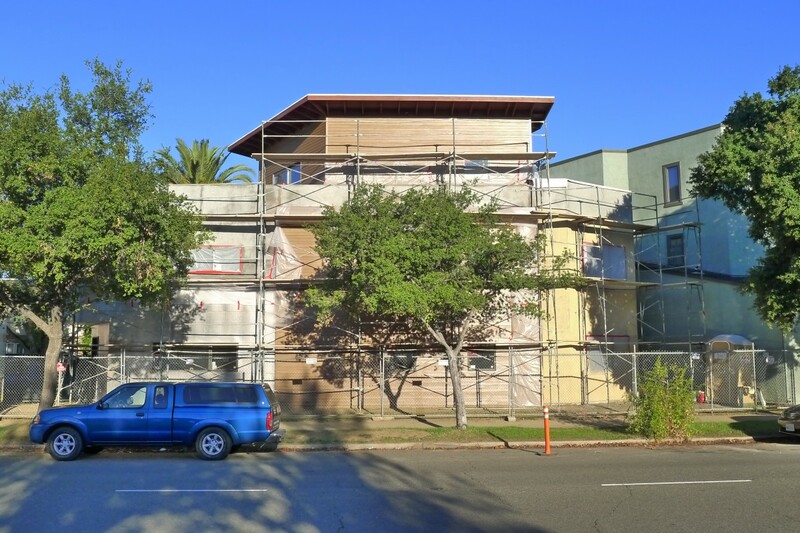 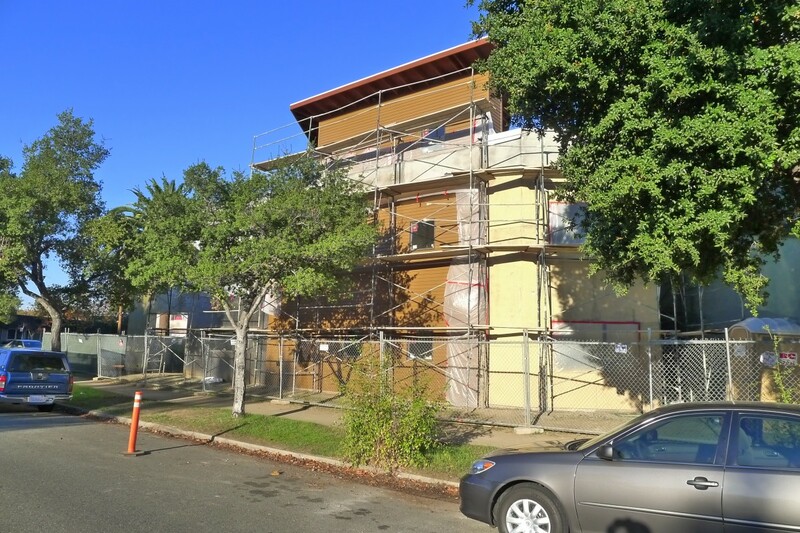 The exterior finishes are up on the Triangle House at 28th and V Streets in Sacramento. 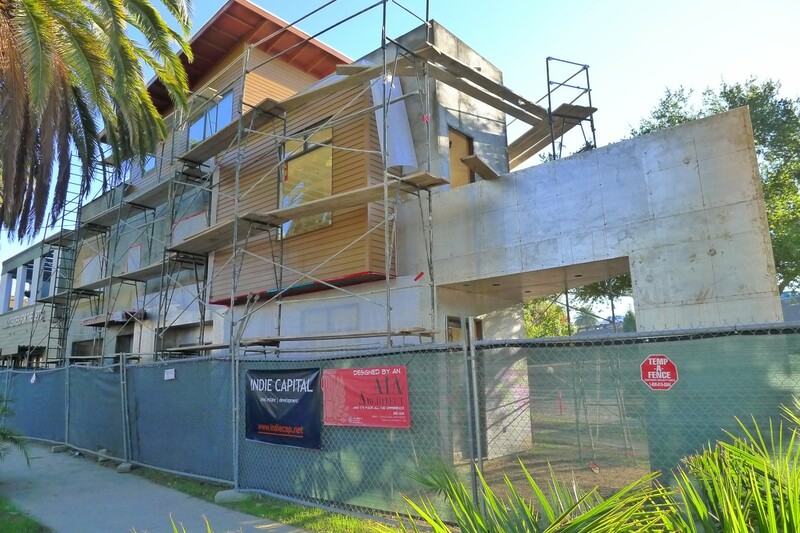 Twenty-two gage sheet metal, 4-inch lap cement board siding and cement plaster are the materials used to articulate exterior forms. 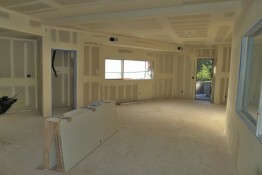 The roof is a TPO single-ply membrane made from ethylene propylene rubber. 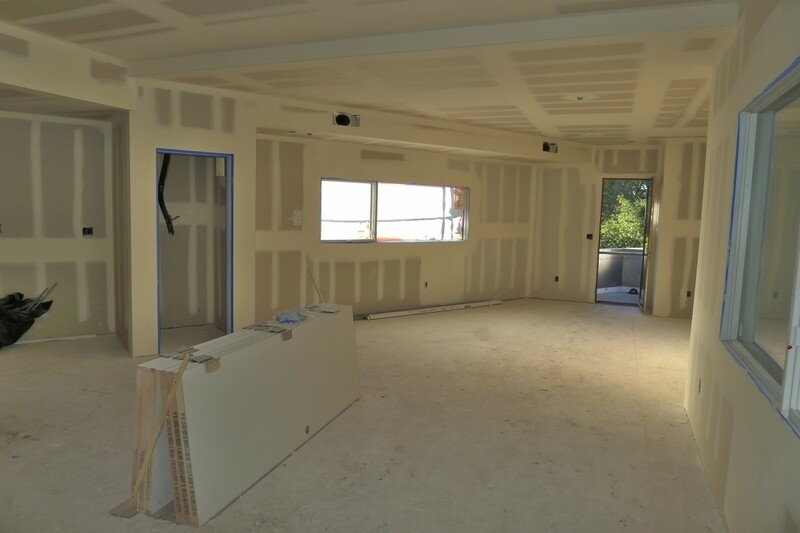 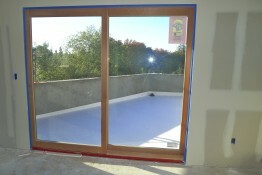 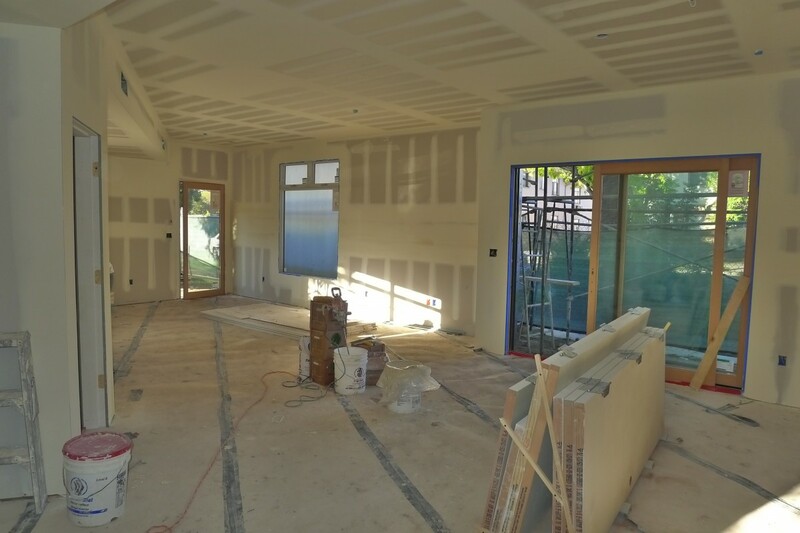 The Sierra Pacific windows are installed, and the interior is ready for cabinets, counters, flooring and stair railings.